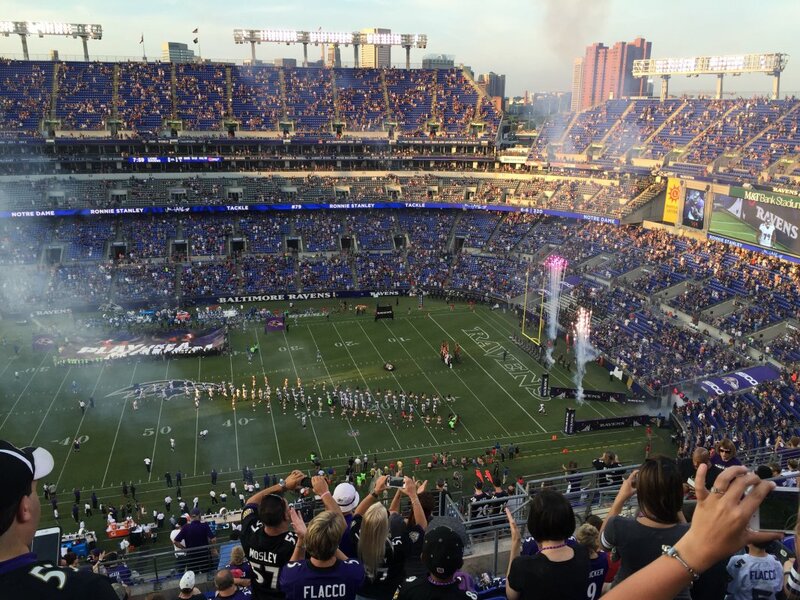 Baltimore is one of those towns that wears its sports fandom on its sleeve, and you can see that right away as you enter the center of town — the venues for both of its professional teams are right there, front-facing and impossible to miss. 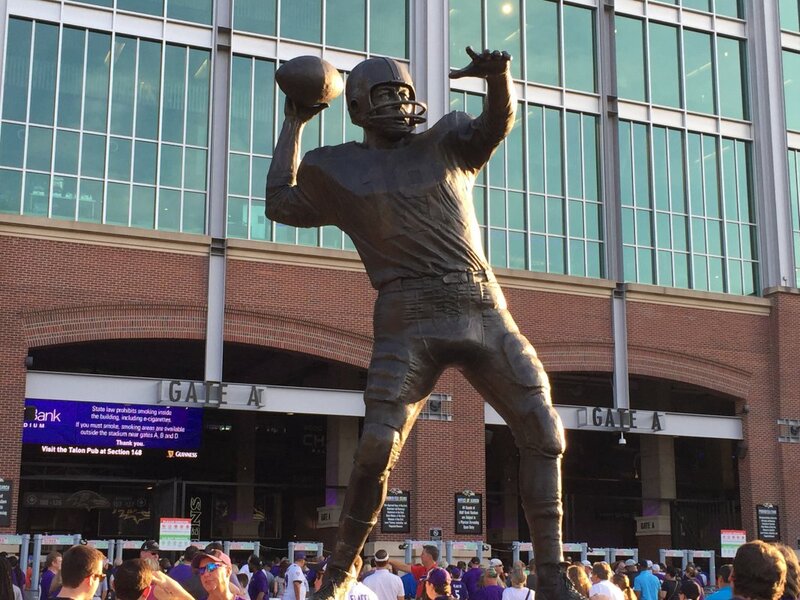 Oriole Park at Camden Yards tends to hog the attention, but M&T Bank Stadium deserves some of the spotlight as well as a marquee football facility in a state that’s mad about pigskin. 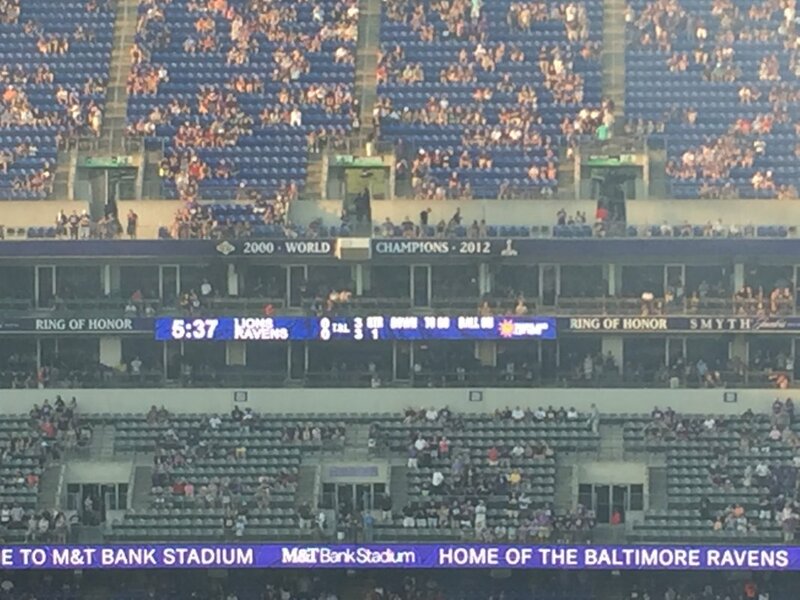 Charm City sure loves its Ravens, as well, warming up to them quickly after the original Browns’ move from Cleveland in 1996 and their subsequent switch to the current Edgar Allan Poe-inspired nickname. 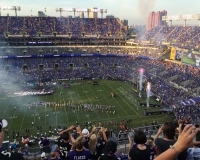 Their stadium, opened in 1998 after the Ravens played two years at the old Memorial Stadium, helped endear the team to the city — as did a Super Bowl championship after the 2000 season. 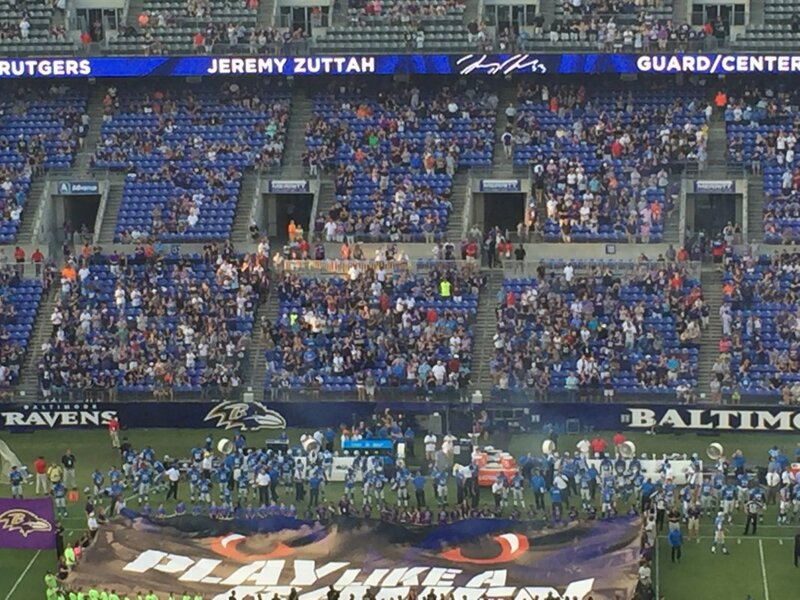 Nowadays, it’s worth checking out the scene in downtown Baltimore as it becomes a veritable sea of purple on Ravens gamedays. 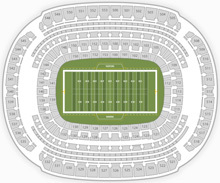 The stadium’s also an occasional host of the annual Army-Navy football game, among other events. 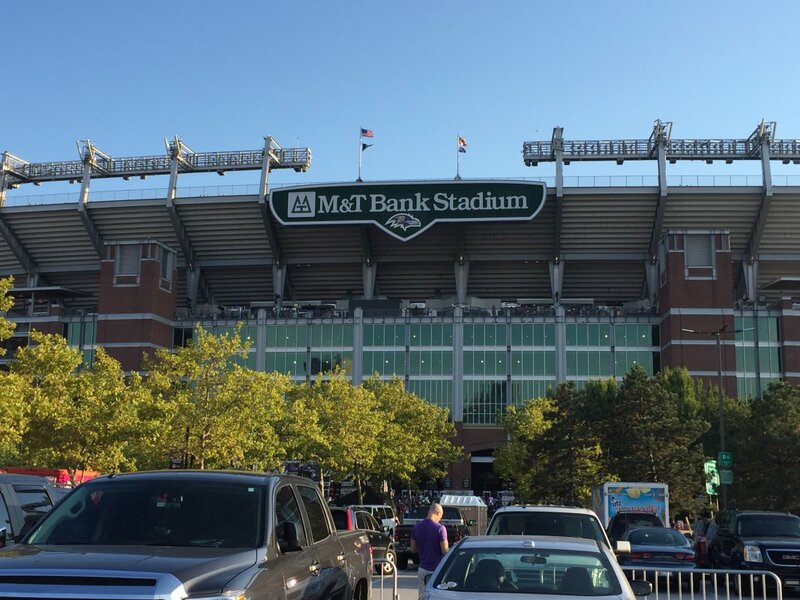 On the southern edge of downtown, M&T Bank Stadium is easily visible from Interstate 95, as it sits in front of the city skyline. 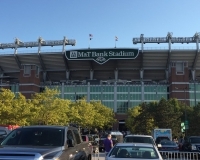 The stadium is also positioned next to I-395, the spur that runs into downtown. 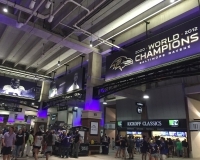 Drivers can follow I-395 to the Russell Street exit, at which point you’ll see a number of parking lots between the stadium and Camden Yards. 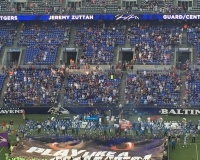 Public transportation is available in the form of Baltimore’s MTA light rail; the system’s two lines both stop at Hamburg Street, on the stadium’s east side, and at Camden Yards, a short walk away (consider the latter if you want to check out some of the pregame scene — more on that below). 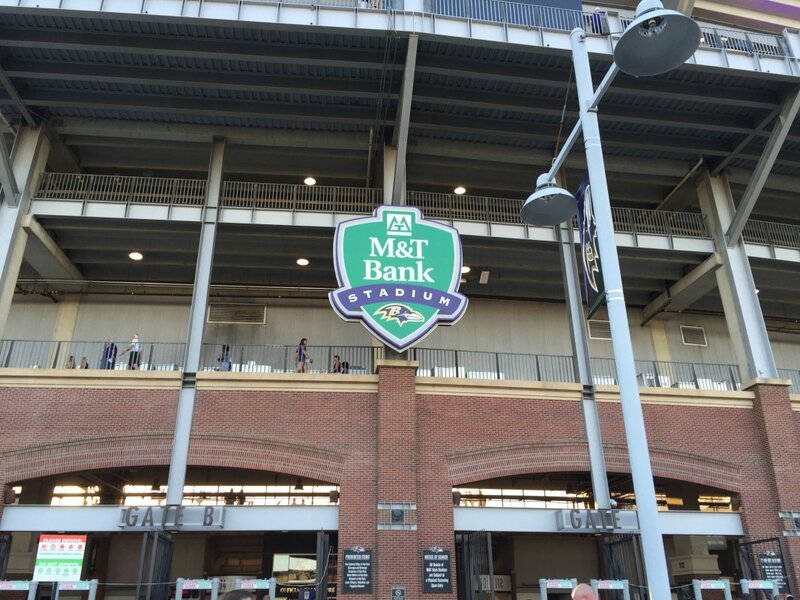 The MARC commuter train system also has a stop at Camden Yards. 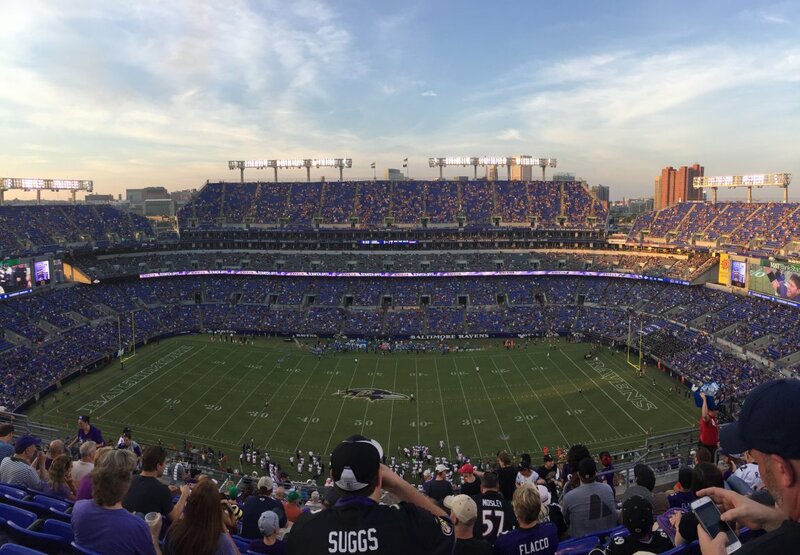 Click here for more on public transit for Ravens games. Though parking is ample for the two facilities (events occurring at both venues at the same time almost never happens), these lots are mostly permit-only. 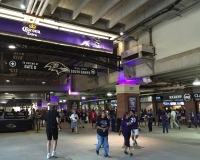 Alternative parking spots are available in a number of private lots downtown and near the Inner Harbor, as well as at the Horseshoe Casino a few blocks south. You can pay ahead of time for a guaranteed spot at many of these lots through a service called Parking Panda. 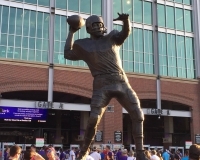 Downtown Baltimore is at your beck and call before the game, with quite a few restaurants and bars nearby depending on how far you’re willing to stray from the stadium. 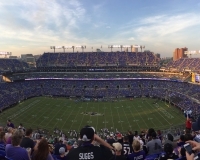 If it’s your first time visiting Baltimore, be sure to see the Inner Harbor, the most tourist-friendly and picturesque district of the city that includes attractions such as the Maryland Science Center and National Aquarium. 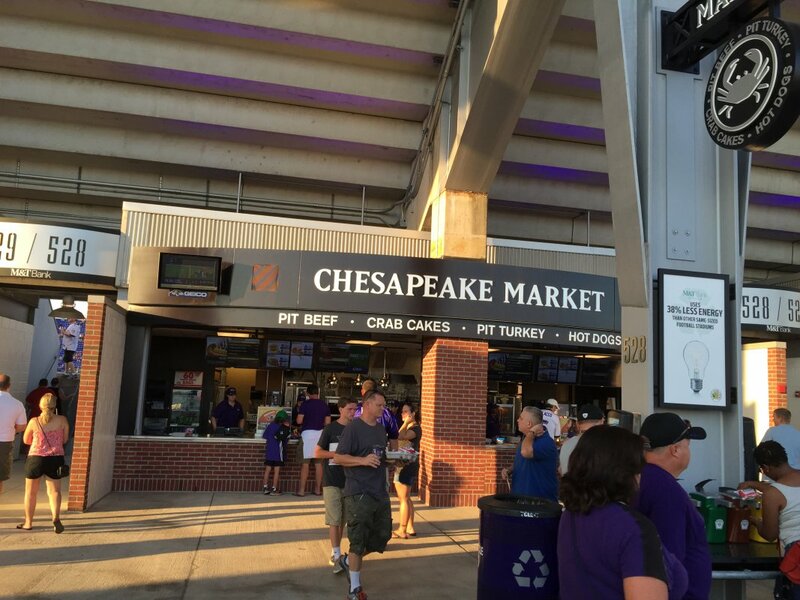 Just know that because it’s touristy, your restaurant choices are largely of the chain variety, and you’re looking at about a mile walk to the stadium afterward. 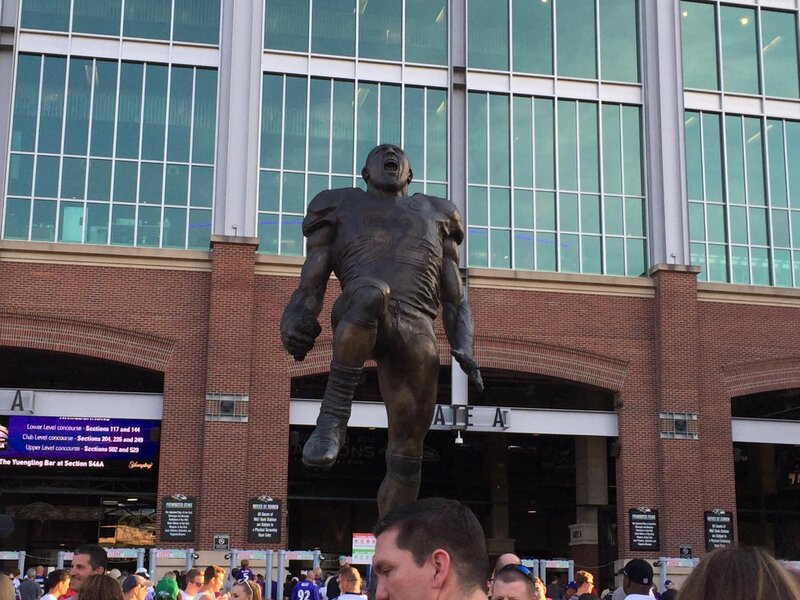 More choices exist in the blocks immediately to the north of Camden Yards, and most of these cater to sports fans. 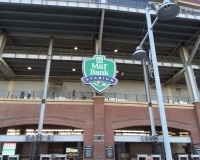 For example, on one block of Washington Street behind left field at Camden Yards, there are three popular sports bars right next to each other — Pickles Pub, The Bullpen and Sliders — that fill up with Orioles and Ravens fans alike. Also, look in the lobbies of the handful of hotels in these blocks, as they’re popular gathering spots for sports fans. 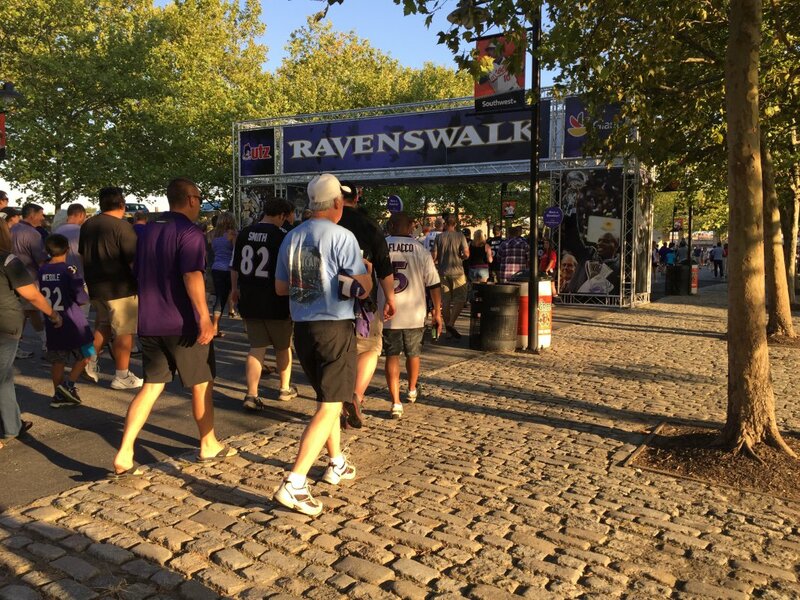 Whatever you choose to do, head back to the stadium via Eutaw Street, the pedestrian path that cuts between Camden Yards and the B&O Warehouse (it’s open to the public as long as there’s no Orioles game). 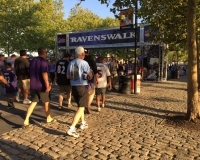 After crossing Lee Street, you’ll hit the RavensWalk, which leads right to the stadium’s front door and is lined along the way with food, drink and merchandise stands, as well as games and live music. 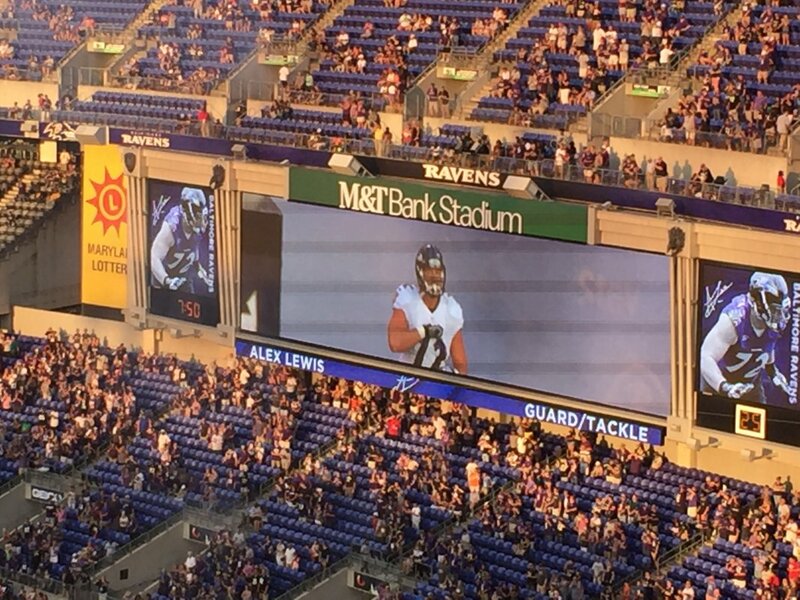 If you can’t set up your own tailgate, there are far worse ways to spend your pregame time than hanging out on the RavensWalk. 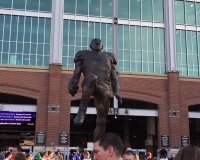 Before you go in, check out the plaza in front of Gate A on the stadium’s north side, which has statues of Baltimore Colts legend Johnny Unitas and former Ravens star linebacker Ray Lewis (in the pose of his famous pregame dance). 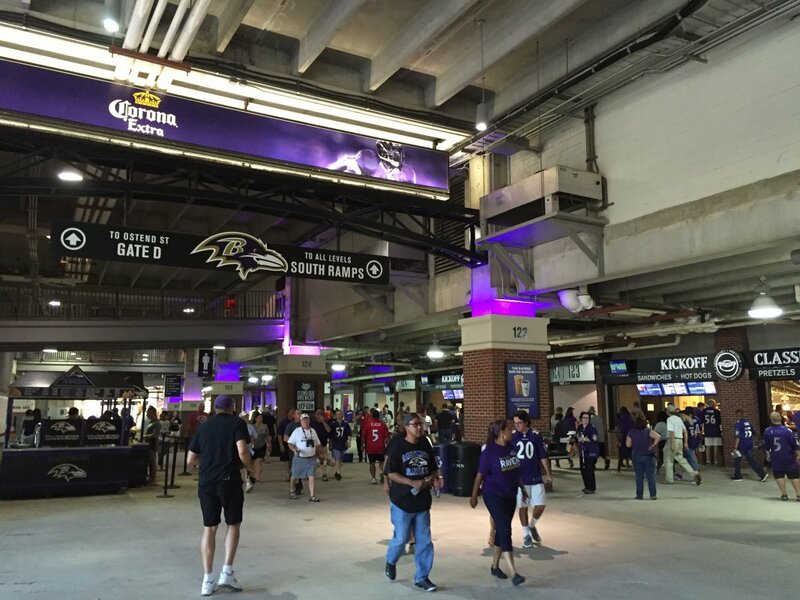 From the decor to the concessions, the stadium really does convey its Maryland roots. 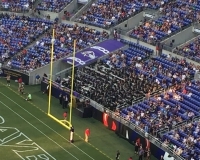 The state’s unique flag, reflected in the Ravens’ shield logo, can be seen in several spots. 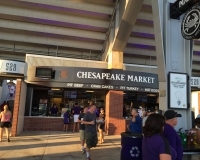 Baltimore’s cuisine is well-represented at the food stands as well, as you can find items such as the pit beef sandwich (no sign of its favored condiment, tiger sauce, though), the crabcake and Bell’s Famous Chili. 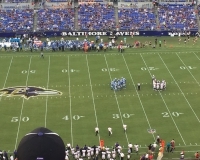 Another nod to the home city is noticeable during games, when the Ravens are trying to make defensive stands. 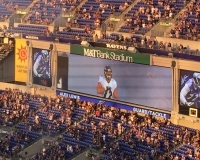 A video will play featuring someone screaming “We must protect this house!” — a nod to Baltimore-based Under Armour, which brought the phrase into the sports consciousness. 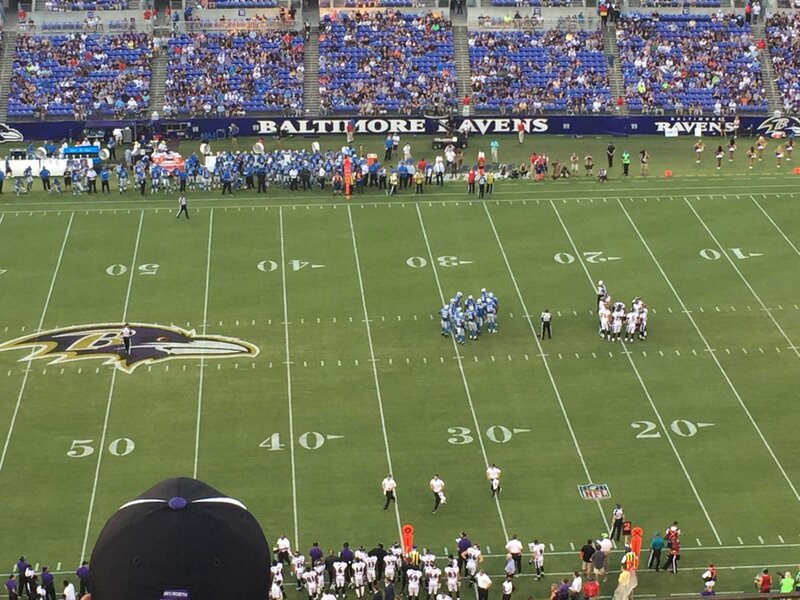 If you’re seated in the upper deck, sightlines remain good and not too far removed from the action. 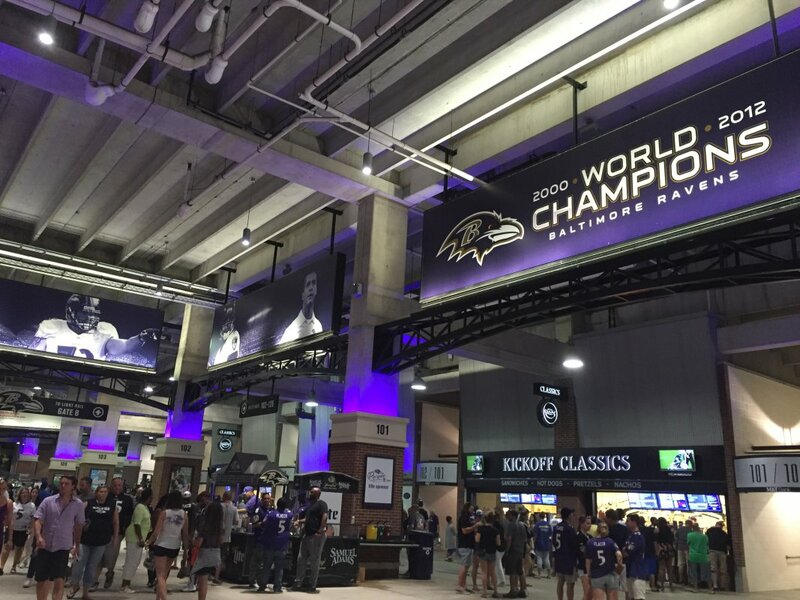 Several escalators are available to travel between levels, as are ramps and staircases. 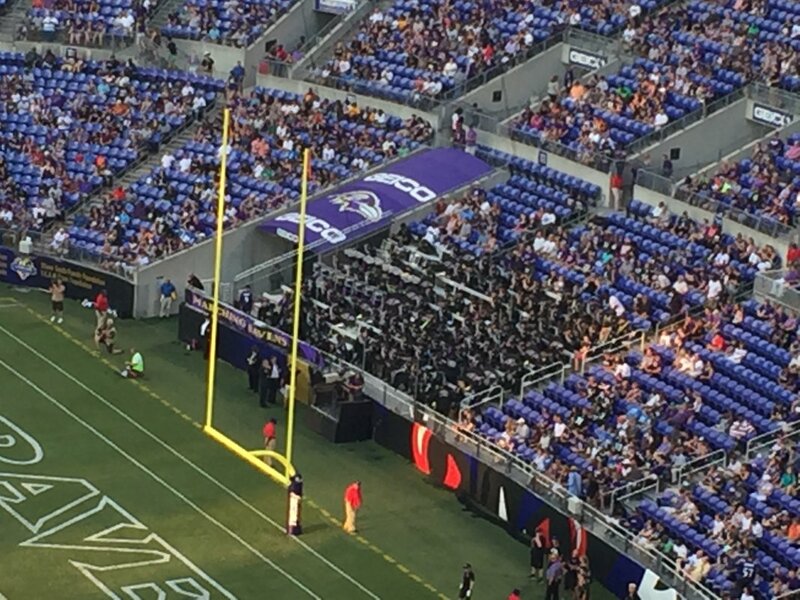 Note that you’ll have to use a short ramp to go between 500-level concourses from sideline to end zone, as the latter is set a few feet lower. 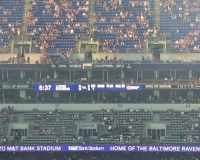 There are bar areas in each corner of the upper deck as well, and you can head to the north side during a break in the action for a pretty good view of the Baltimore skyline.